Applications are now open for grants for conservation of buildings on the Record of Protected Structures. Details and application forms are here. Owners or managers of Protected Structures should seek advice from qualified professionals in planning work to a Protected Structure. Depending on the building type, importance, condition and scale of works, this may be a conservation architect, conservation engineer or other professional. The Royal Institute of Architects in Ireland has a Directory of Registered Architects, with details of conservation accreditation. To assist Consumers in the selection of a Practice to provide them with professional services in architectural conservation, the RIAI developed an accreditation system to recognise differing levels of specialist expertise. There are three Grades of Accreditation, Grade 1 being the highest and Grade 3 the basic entry level to the System. Full details and a description of the types of work carried out by each grade are at the RIAI Website. In adddition, there is a list of Conservation Consultants on the Irish Georgian Society website. Our architectural heritage is a unique and exceptional resource. Structures and places that have acquired character and special interest over time have cultural significance in a changing world. All of their parts have been tested by our climate, and those that have survived the process of decay, and the interventions of their users, have acquired economic, environmental and aesthetic value. We enjoy the fruits of this inheritance, and we have a duty to ensure that it is conserved, sympathetically reused, and passed onto our successors with its value intact. A Protected Structures is a building designated by Laois County Council because of its special architectural, historical, archaeological, artistic, cultural, scientific, social or technical interest. Laois County Council is required to compile and maintain a Record of Protected Structures for its functional area. A Record of Protected Structures is a mechanism available for the statutory protection of the architectural heritage. The Planning Authority must include in the Record every structure, which, in its opinion is of special architectural, historical, archaeological, artistic, cultural, scientific, social or technical interest. The Record of Protected Structures forms part of the Laois County Development Plan 2011 – 2017. A Planning Authority may add a new record to or delete a structure from its Record of Protected Structure during the review of its Development Plan or at any other time, by following different prescribed procedures. The making of an addition to or deletion from the Record is a function that is reserved to the Elected Members. 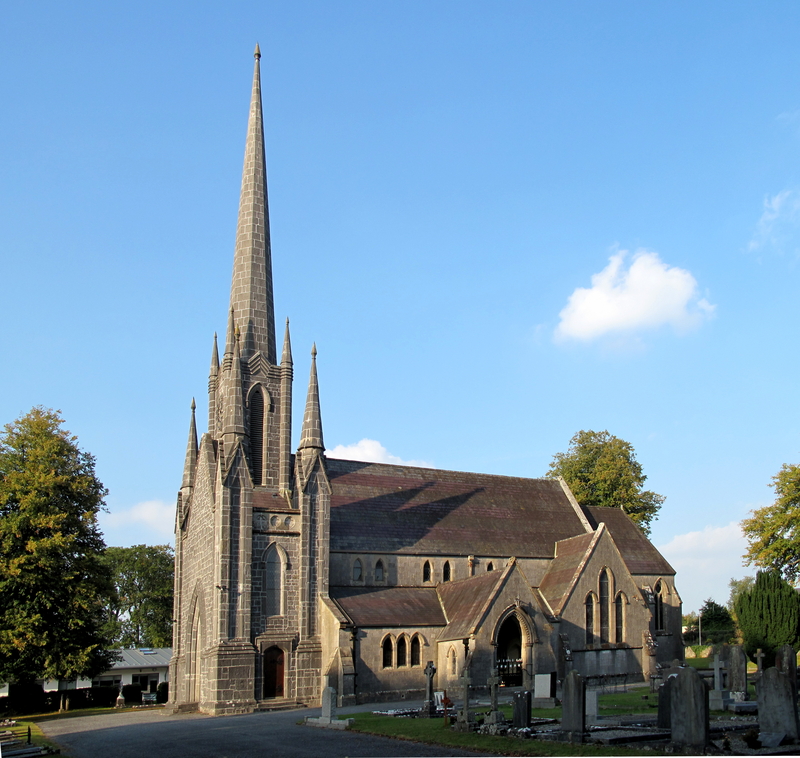 Which buildings in Laois are protected? The terms “structure” is defined by Section 2 of the 2000 Act to mean “any building, structure, excavation or other thing constructed, or made on, in or under any land, or any part of a structure so defined, and where the context so admits, includes the land on, in, or under with the structure is situate”. A “Protected Structure” is defined as any structure or specified part of a structure, inside or outside, which is included in the Record of Protected Structures. How does a structure become a protected structure? Local Authorities must follow certain procedures if it is proposed to deem a structure to be a protected structure. This involves notifying the owners and occupiers of the structure, the Minister for Arts, Heritage, Rural, Regional and Gaeltacht Affairs, and other bodies of the proposal. An owner or occupier is entitled to make comments on such a proposal to the Planning Authority. These comments are taken into account before the Authority’s Elected Members decide whether or not the structure should become a Protected Structure. What are the obligations on owners and occupiers? Owners or occupiers of a Protected Structure may request a ‘declaration’ under Section 57 of the Act. The purpose of this declaration is for Planning Authorities to clarify in writing the kind of works that would or would not materially affect the character of the structure or any element of the structure which contributes to its special interest. The issuing of a declaration is a service that the Planning Authority provides at no cost to the owner or occupant of a protected structure. The Planning Authority has twelve weeks from the receipt of a request for a Section 57 to have it completed. failing to carry out works, ordered by a Local Authority, to a protected structure or a structure in an architectural conservation area.